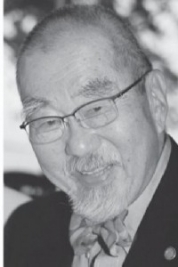 SAN FRANCISCO — Dr. Donald Tatsuro Nakahata of Mill Valley, a long-time professor of dentistry at UC San Francisco, peacefully passed away on March 15, in the company of his wife and family. He succumbed after a year-long battle with pancreatic cancer. A native of San Francisco, Nakahata grew up there until being interned at Topaz, Utah. From there his family moved to Rochester, N.Y. before returning to San Francisco. He served in the U.S. Army during the Korean War. Nakahata practiced general dentistry in San Francisco for almost five decades — first as a sole practitioner, then as a consultant with Delta Dental and finally as an associate professor in clinical dentistry at UCSF. Nakahata always practiced dentistry in a “hands-on” way, taking time to discuss his patients’ issues and concerns. Most importantly, he wanted to teach his students to listen to, “touch” and care for patients. He passed on his chairside wisdom, mentoring his students in more than just dentistry. In addition, Nakahata was particularly proud of his work with the California Dental Association in creating a peer review process to oversee standards of care. He also had a lifetime passion for human and civil rights, and social justice. As a young man, he and his wife, Alice. fought against a California constitutional right to engage in racial and religious discrimination in housing. Having been incarcerated by his own government during World War II, he spoke publicly about these experiences, including in the press, in schools and before the U.S. Commission for Wartime Relocation and Internment of Civilians in 1981. A lifelong member of Christ Episcopal Church (Sei Ko Kai), he believed in a Christianity that embraces diversity and scientific thought. An avid backpacker, he loved visiting the granite peaks of the Sierras every summer, first with his entire family and later just with Alice. A graduate of San Francisco City College and UC Berkeley, he was a lifelong Cal fan who cheered for the Bears through thick and thin. In addition to his wife of 52 years, Nakahata is survived by his sister Beatrice, sons Andrew (Alison), Peter (Laura) and John (Pam), and grandchildren Eileen, Maura, Dashiel, Paxton, Kevin and Darren. In lieu of flowers, the family suggests that donations be made to support Christ Episcopal Church, 2140 Pierce St., San Francisco, CA 94115, or pancreatic cancer research at UCSF. If the latter, write a memo (on the check or an accompanying note) stating “Ko/Nakakura research in memory of Donald Nakahata” and send to UCSF c/o Sarah Krumholz, 220 Montgomery St., 5th Floor, San Francisco, CA 94104. Funeral service will be held on Saturday, March 24, at 1 p.m. at the Christ United Presbyterian Church, 1700 Sutter St., San Francisco.